MainosMemos contains the latest research and information about eye and vision care of children, developmental disabilities, Traumatic/Acquired Brain Injury and other topics of interest to me (and hopefully you!). This conference is designed as an opportunity for school nurses, educators, administrators, school psychologists, occupational therapists and optometrists to learn about the relationship between vision and learning. It will also provide an opportunity for dialogue to explore ways to collaborate and to make sure that vision conditions don't hinder children's ability to learn. Technology will be a focus this year, with presentations on using technology to accommodate for vision problems and about 3D Vision Syndrome in the classroom. If you have any questions or need additional information, please send e-mail to[email protected] or call 1-800-960-EYES. If not caught early, children’s vision problems may be mistaken for learning disabilities in the classroom, according to new research from a University of Lethbridge professor. Noella Piquette, a U of L professor in the faculty of education, and Charles Boulet, a Diamond Valley optometrist, have been studying how young children’s vision affects how they learn. They’ve found that even sight problems that are usually imperceptible to children and their parents can make it much more difficult for the young students to keep up in school. Common eye screening tests – reading aloud shrunken letters of the alphabet – rarely catch these kinds of eye conditions in children, according to the study, recently published in the journal Optometry and Visual Performance. Translational Research Award, funded for a period of up to three years. This mechanism expects to fund 12 awards, for a total of $12 million. The maximum for any award is $1 million, with $5 million of the total reserved for Traumatic Brain Injury (TBI) visual dysfunction-related research projects. Hypothesis Development Award, funded for a period of two years with a maximum cost of $250,000 each. DOD expects to fund about 10 awards, totaling about $2.5 million. Of that amount, $1.5 million must be reserved for TBI-related projects. The deadline for pre-proposal submissions for both awards is November 25, 2013. Each mechanism specifies the DOD-identified research gaps for which research should be proposed and states that proposals outside the focus areas should not be submitted. Domestic and international researchers can apply for funding. Due to NAEVR’s advocacy, Congress funded the VTRP in FY2013 at $10 million−the highest level ever. Although subject to an eight percent sequester cut that reduced its amount to $9.2 million, the final funding amount is $14.5 million due to transfers of funding from other DOD programs, such as TBI research, as a result of the quality and responsiveness of vision researcher submissions. The vision community will have received $85 million in extramural research funding since FY2001 with the addition of these awards, $40 million of which since the VTRP was created by Congress as a distinct budget line in FY2009 DOD appropriations. ADHD or Vision Problem or Both? To find out more go to the College of Optometrists in Vision Development website. Meet Cavin. 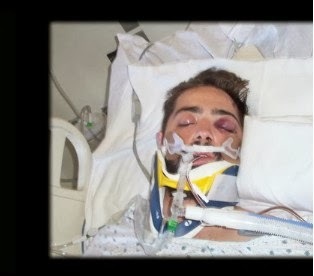 In May 2011, Cavin fell about 20 feet from a rooftop water tower. His injuries were many, including the trauma to his brain. In fact, his chances of survival were slim. But Cavin not only survived, he has been fighting his way back and writing about it. 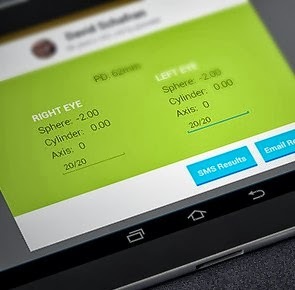 ...EyeProtectBrain is a collaboration by the College of Optometrists in Vision Development (COVD) and the Southeastern Congress of Optometry (SECO). This new public health program has been launched to identify undiagnosed concussions in sports at all levels—from elementary school through professional players. MainosMemos the latest in research about pediatrics, binocular vision therapy, patients with special needs and more! Dominick M. Maino, OD, MEd, FAAO, FCOVD-A is a Professor of Pediatrics/Binocular Vision at the Illinois Eye Institute/IllinoisCollege of Optometry and is in private practice at Lyons Family Eye Care in Chicago, Il. Dr. Maino is an AOA Spokesperson on 3D Vision Syndrome and has been interviewed by the news media extensively on this subject. 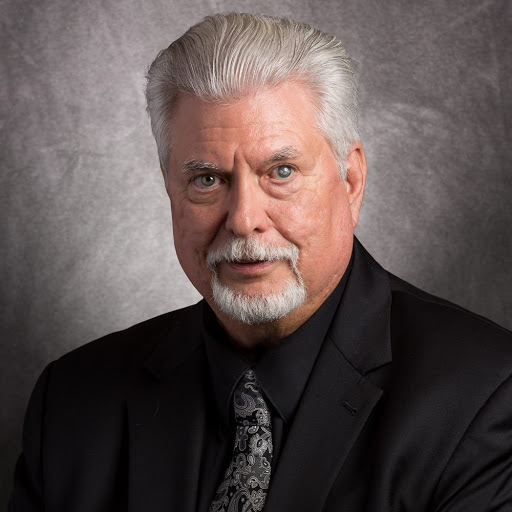 He has also lectured nationwide on 3D Vision Syndrome and currently serves on the AOA 3D Classroom Project Team, AOA New Technology Committee and co-authors the Eye on Technology column for the AOANews. He is the editor of Optometry &Vision Development and has authored 200 books, chapters, and articles. His latest book has been published by Lippincott and is titled: Visual Diagnosis and Care of the Patientwith Special Needs. 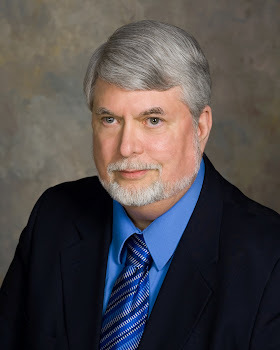 He has given more than 100 presentations worldwide and is currently the associate, consulting, and/or contributing editor/manuscript reviewer for numerous publications. He is a graduate of the Illinois College of Optometry, received his MEd at the University of Illinois Chicago and obtained his Bachelor’s degree from Beloit College. Dr. Maino is an Adjunct Professor of Pediatrics/Binocular Vision at the Centro Boston de Optometria in Madrid Spain, and provides eye care for those with intellectual disability and psychiatric illness at Neumann Family Services in Chicago. He is a Fellow of the American Academy of Optometry and the College ofOptometrists in Vision Development and is a member of the American & Illinois Optometric Associations, Neuro-Optometric Rehabilitation Association, Optometric Extension Program Foundation, Order Sons of Italy and the Artists of Casa Italia. Dominick has received recognition for his work from the National Academies of Practice (Distinguished Practitioner), Order Sons of Italy (Leonardo Da Vinci Award of Excellence in Medicine), Neuro-Optometric Rehabilitation Association, College of Optometrists in Vision Development, Optometric Editors Association, and the Easter Seal Society of Metropolitan Chicago. He and his wife Sylvia have also received the Heart of St. Bartholomew Award for their work at St. Bartholomew Parish. Dominick is an internationally recognized expert on oculo-visual problems of children and adults with disabilities. His research interests include special populations, pediatrics, and binocular vision dysfunction. Dominick’s avocations include website design, blogging, music and photography. He is a member of the Artists of Casa Italia and has exhibited his works at the CasaItalia Cultural Center, the Palatine Library and the Cook County Treasurer’s office in Chicago, as well as several art galleries in the Midwest. He has had an opportunity to sing opera alongside artists from the NY Met and Chicago Lyric (Dominick is usually tucked away nicely in the middle of the tenor section of the supporting choir!). His blog, MainosMemos.com features the latest research in the area of children’s vision and special needs patients and was recognized as one of the top ten medical blogs on Networked Blogs. (Free online book) Binocular Vision & Ocular Motility von Noorden 6th Ed.